Join us in San Antonio for this show in conjunction with 2018 SACNAS – The National Diversity in STEM Conference. We’ll present five true, personal stories about science from members of the society. Please note: The venue for this event is 21+. Food will be available for purchase at the venue. Mary Garcia-Cazarin, Ph.D., M.S. is a Scientific Advisor for the Tobacco Regulatory Science Program (TRSP) in the Office of Disease Prevention at the National Institutes of Health (NIH) where she helps to stimulate and coordinate collaborative tobacco regulatory science research; and implementation of initiatives related to disease prevention, tobacco and public health. Previously, Dr. Garcia-Cazarin was an American Association for the Advancement of Science (AAAS) Science and Technology Policy Fellow in the Office of Dietary Supplements (ODS). She is an alumna of the Linton-Poodry SACNAS Leadership Institute (2011) and the Advanced Leadership Institute (2017). Dr. Garcia-Cazarin is a former SACNAS Board Member. She received her Bachelor of Science in pharmaceutical chemistry from Universidad Veracruzana, Mexico, her Master of Science in biology from James Madison University, in Harrisonburg, Virginia, and her Ph.D. in pharmacology from the University of Kentucky in Lexington. She is a passionate about training and mentoring and an advocate of outreach programs to increase participation of underrepresented groups in science-related fields. Minerva Contreras is a senior at Universidad Autonoma de Queretaro, where she is majoring in Biotechnology Engineering with a focus in Biomedical Sciences. Her undergrad research has lead her to explore different areas within neurobiology such as the molecular biology of glioblastoma at UT MD Anderson Cancer Center, and neurodegenerative diseases at UCSD Sanford Consortium for Regenerative Medicine. Before discovering her passion for science, Minerva completed an AA in Filmmaking; she believes this was an important contribution to her appreciation for diversity and humanities. Her future goals include pursuing a doctoral degree in Neurosciences, as well as creatively communicating science to the general public, especially future generations, in a relatable fashion. In her spare time, she enjoys going on hikes with her dogs, strength training, and spending time with her family and friends. Kevin L. Keys is a postdoctoral scholar in the Burchard Lab at the UCSF School of Medicine and a Berkeley Data Science Fellow at UC Berkeley. His biological research interests span computational genomics, bioinformatics, and statistical genetics, and his mathematical interests span scientific computing, high-dimensional statistical inference, and mathematical optimization. 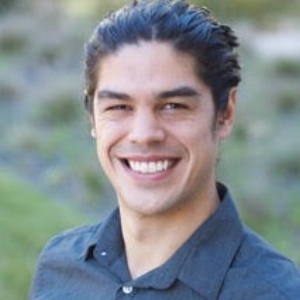 At UCSF Kevin studies the genetic basis of pediatric asthma in admixed populations using multilayered data, including genomic, transcriptomic, methylomic, sociodemographic, environmental, and clinical measures. Kevin completed his M.S and Ph.D in Biomathematics from the UCLA School of Medicine, where he developed open-source penalized regression methods for genetic association studies. Before his PhD studies, Kevin was a Fulbright visiting scholar in Jaume Bertranpetit’s lab at the Universitat Pompeu Fabra in Barcelona, Spain, where he studied the molecular evolution of metabolic networks in primates. Kevin holds a B.S in Mathematics and a B.A. in Linguistics from The University of Arizona, where he did human evolution research with Michael F. Hammer and Joseph Watkins. Since 2007, Kevin is a proud member of the Society for the Advancement of Chicanos and Native Americans in Science (SACNAS). He joined after encouragement from his undergraduate math advisor, William Y. Velez, and he has been grateful ever since. Dr. Corey Welch is Director of the STEM Scholars Program at Iowa State University. He arrived in Ames in January 2015 to establish a new Science training program serving underrepresented students. His career goal is to diversify who succeeds in science, thereby benefiting both STEM disciplines and our larger society. Corey grew up in a trailer park in Billings, Montana and is a proud member of the Northern Cheyenne tribe. Prior to coming to Iowa State, he was the Research Program Coordinator for the Biology Scholars Program at UC Berkeley, where he coordinated a variety of different research training programs funded by HHMI and NIH grants. Follow him on Twitter @CoreyWelch_STEM.